The covered reach porch area connects indoor and outdoor living spaces. 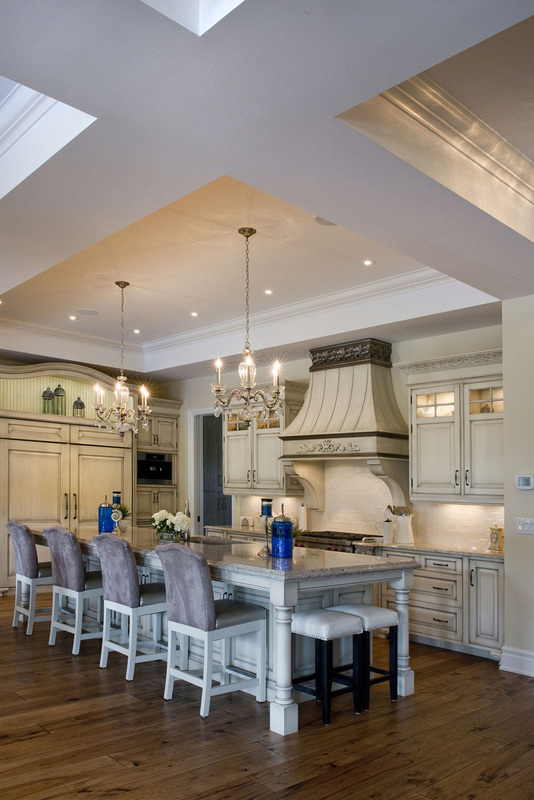 Creative use of architectural ceiling features solves the challenge of servicing mechanical requirements in the vast open concept kitchen, dining and living area. 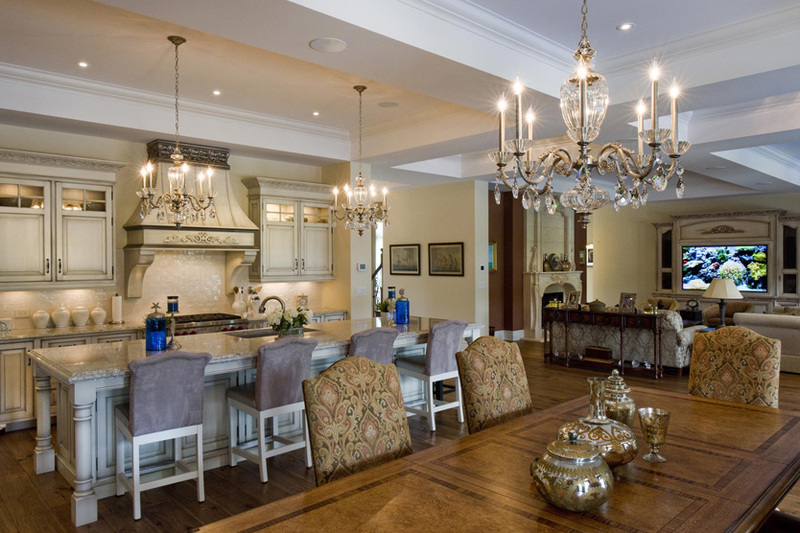 Extensive use of traditional, custom cabinetry reproductions of historic pieces selected by the owner are featured throughout the home. 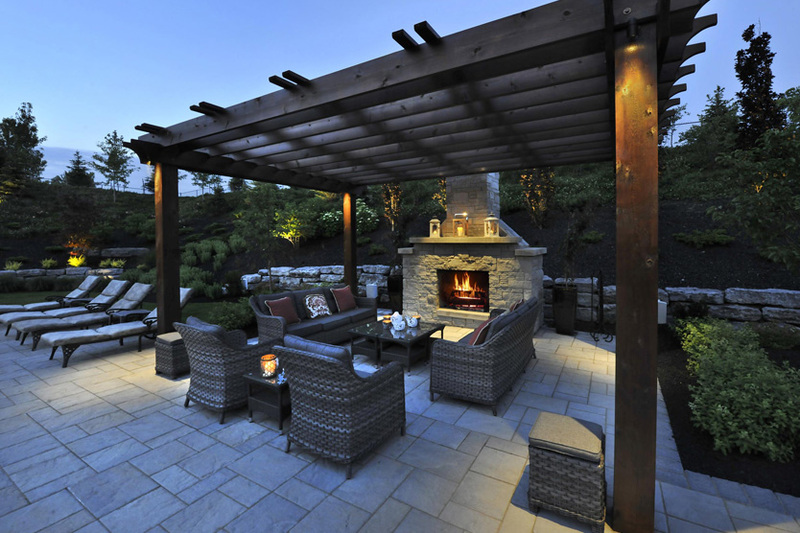 This stunning outdoor living room features a wood-burning fireplace. Working closely with the landscaping team ensured design cohesion of the estate's home, six detached garages and expansive outdoor spaces. 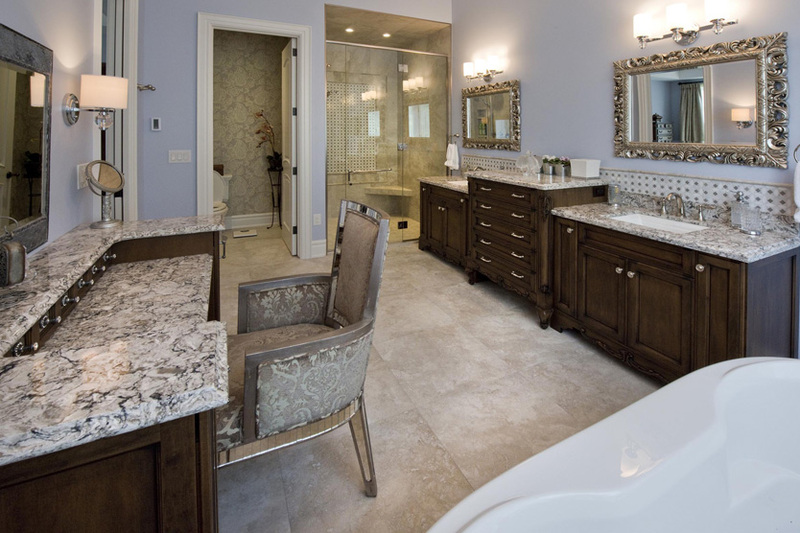 The generous master ensuite features more custom cabinetry in a highly functional space. 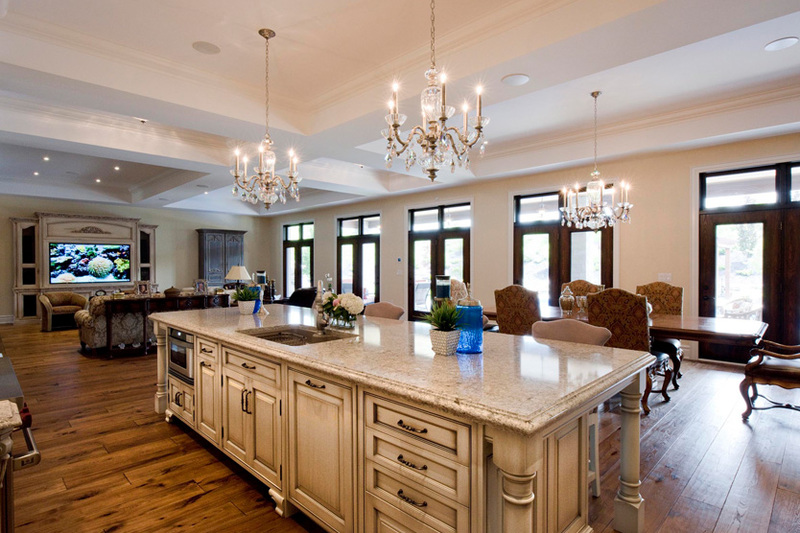 A wall of patio doors leading to the covered porch flood the great room with natural light. 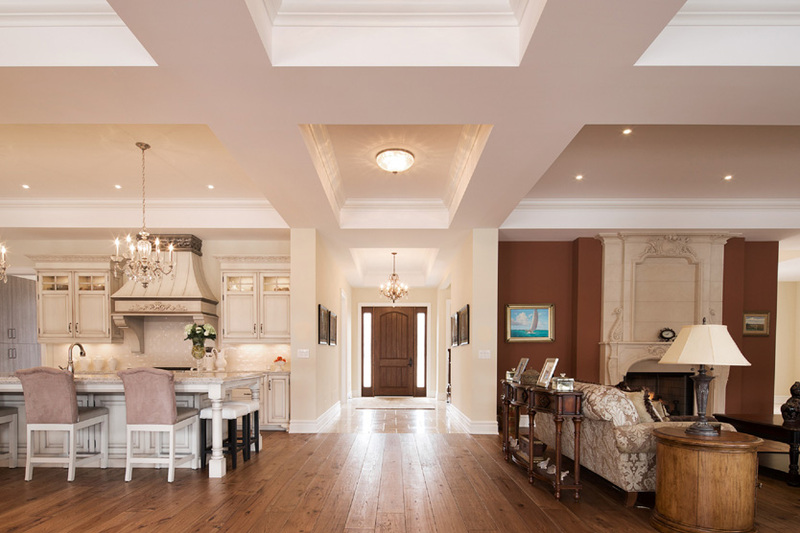 The massive 55 foot x 30 foot open concept great room required careful planning to serve the mechanical and engineering requirements while maintaining traditional details. Architectural symmetry provide both function and form in this view from the great room to the main entry hall. 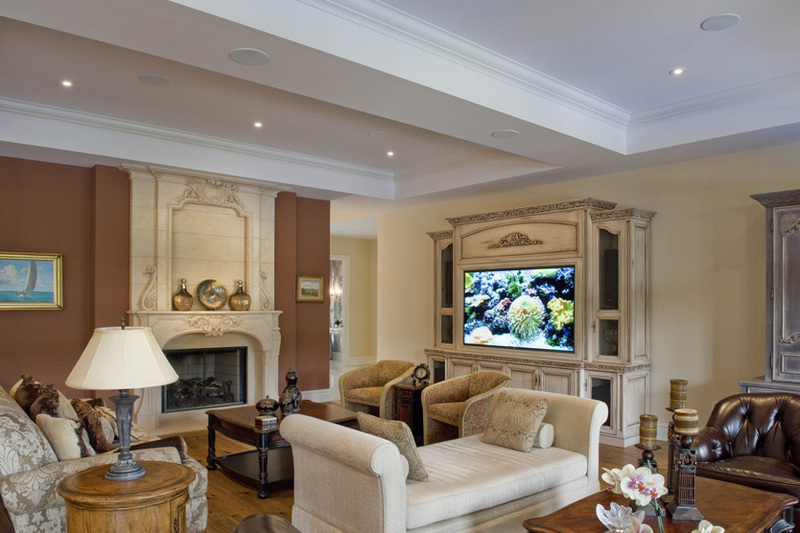 After twenty years in their custom home, these homeowners wanted a main floor upgrade that was better suited to the needs of their growing family and evolving lifestyle.